Photo L-R: PNM financier Harry Ragoonanan, former transport minister Devant Maharaj and maritime attorney Nyree Alfonso during a media briefing on August 12, 2018. 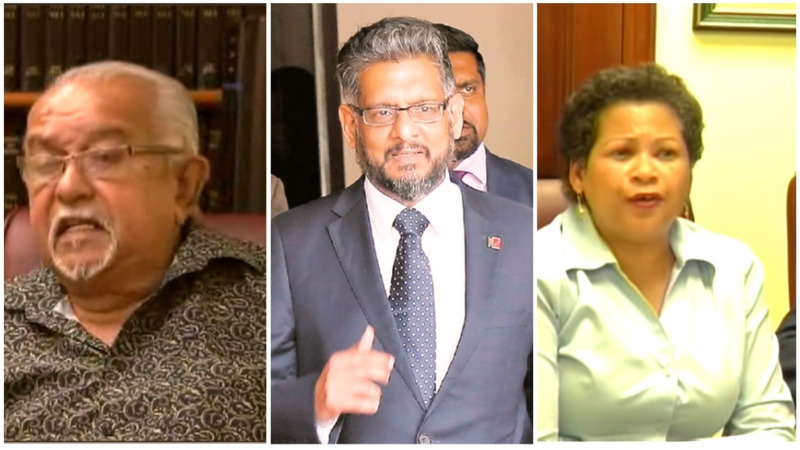 Minister of Works and Transport Rohan Sinanan refuted allegations made by PNM financier Harry Ragoonanan, former transport minister Devant Maharaj and maritime attorney Nyree Alfonso, calling them ‘Dirty Harry’, ‘Lying Devant’ and ‘Conflicted Nyree’. Speaking at a media briefing on Monday at his Ministry’s office in Port of Spain, Sinanan condemned statements made by the trio concerning government's decision to purchase two patrol vessels from Austal as well as the acquisition of the Galleon's Passage. Sinanan was responding to a media briefing held by Maharaj, Ragoonanan and Alfonso on Sunday in which they questioned government's decision to purchase two marine patrol vessels from Austal. He said Alfonso admitted before a Parliamentary Joint Select Committee that she “went out singlehandedly and got six vessels for the (Authority)”. “That had to be scrapped because the Central Tenders Board said ‘no, you cannot do that’,” he said. “I just want to remind the media and the population about a conversation that Mr Khan put to Ms Alfonso, and her response: "I do admit and I said in a hurry, I think it is time to admit ‘mea culpa’ (I am to blame). In a hurry to divest myself of this tender…I do not think I used language that was precise enough"." “Ms Alfonso admitted of certain undertakings in that process that she should have been playing a role in,” Sinanan said. He said evidence came out in the public domain that Alfonso was hired to give advice on how to ‘get rid of the Warrior Spirit’ and tendered a vessel, won the vessel and then charged the Authority for her services. “Ms Nyree Alfonso was the agent for the vessel that won the tender…that matter is now before the Attorney General’s office,” he said. “If we don’t remind the population of who the messengers are, somewhere along the line we might take for granted that what they are saying is the truth,” he said. Sinanan said that every time they brought ‘lies’ to the public, his government would continue to respond to them. 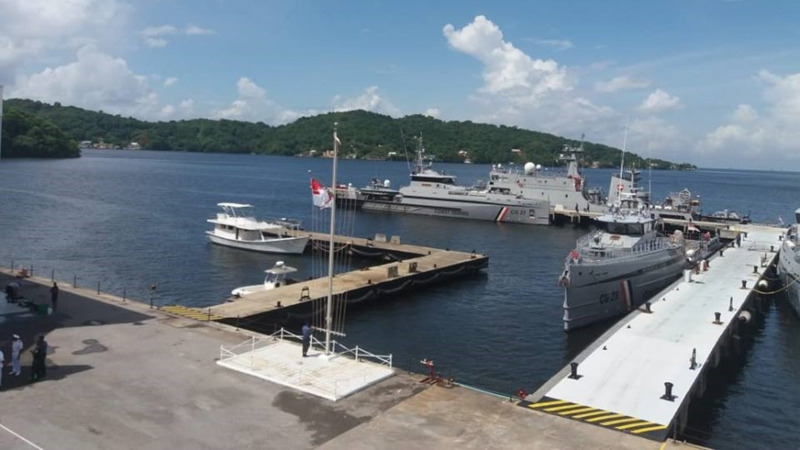 Alfonso criticised government’s decision to purchase two patrol vessels from Australian company Austal instead of Incat, which previously built the T&T Express and the T&T Spirit. 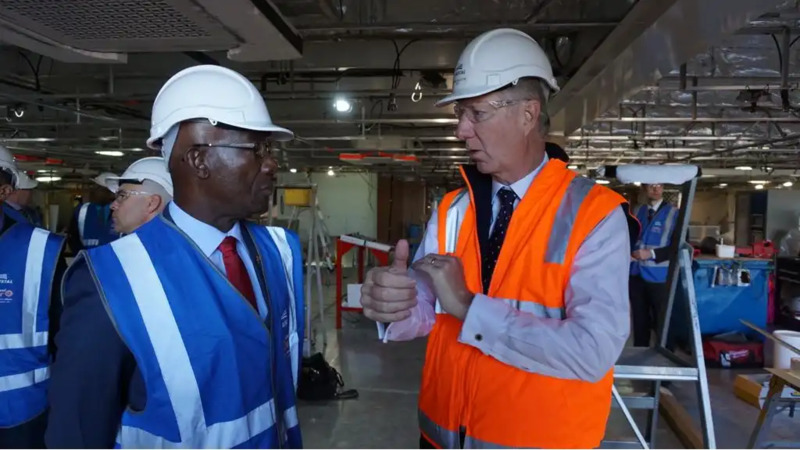 Maharaj accused government of ordering the vessels in order to secure support and said he has written to Australia’s Attorney General Christian Porter calling for an investigation into the purchase of the vessels. Government signed the contract for the vessels in July when Austal representatives visited Trinidad and Tobago earlier this year. Financing for the vessel is to be arranged through Australian state agency Efic. Ragoonanan, who is being investigated due to allegations over a contract involving the Public Transportation Services Company (PTSC), said he was persecuted because of his objections concerning the T&T Express and the T&T Spirit, as well as the recently purchased Galleon’s Passage, which is not yet active after arriving in July. 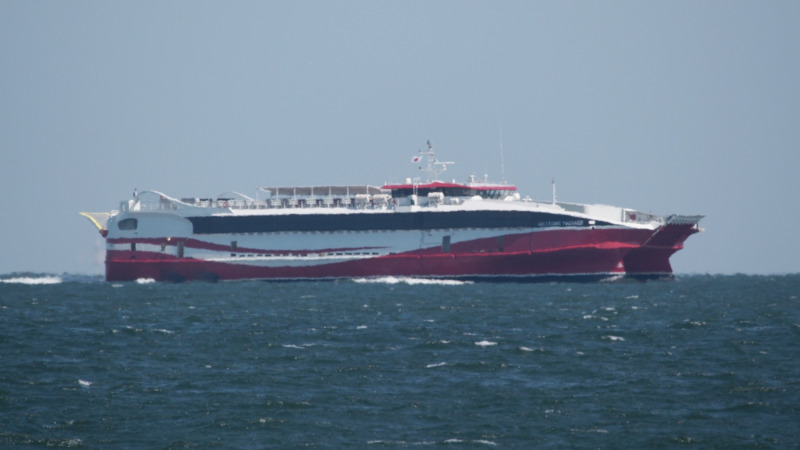 Ragoonanan said he warned the Port Authority of Trinidad and Tobago (PATT) about the T&T Express and T&T Spirit regarding the contract for maintenance for both vessels but his warnings went unheeded. He added that the Galleon’s Passage would cause a lot of ‘seasickness’, adding that his presence at the briefing did not mean he had defected to the UNC, but was the result of his concern over the sea bridge. 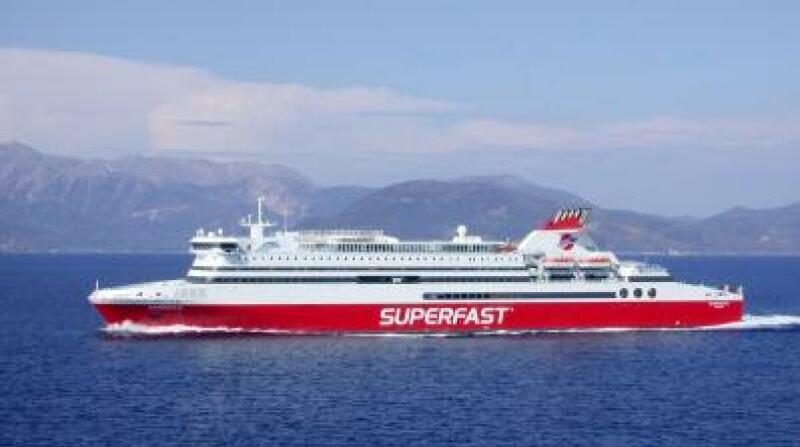 National Security Minister Stuart Young said that the state has since filed civil action against Alfonso for her part in the departure of the Superfast Galicia. He said the State is suing for approximately $8 to 10 million in damages.